When you pull into the Autumn Woods apartment complex, you feel as if you have entered a different country. That country, in fact, is Myanmar (formerly called Burma). Men and women are walking about in traditional Burmese dress. Children are running around in bare feet while wearing clothes that are clearly hand-me-downs. The complex dumpsters are full and the smell of trash is very distinct. The lawn around the apartments has sparse patches of grass amongst the large canvas of dirt. For those that do not know, Fort Wayne has become a home for many Burmese refugees since the early 1990s. Military control, public killings, rapes, the arrest of innocent people, and other inhumane human rights violations have forced families to flee Myanmar. It is estimated that more than 5000 refugees currently call Fort Wayne home. Many of those are living in the Autumn Woods Apartments. It is hard to imagine being forced to leave your home, your family, your country in order to be safe and survive. Those seeking refuge arrive here with nothing. They do not have clothes, money, and they cannot speak our language. That would be difficult for any person, young or old. It is especially difficult for the children. Thankfully, there are many organizations in the community that support the Burmese through resettlement programs. Catholic Charities’ Homework Help, formerly known as the Neighborhood Action Center, provides homework assistance to the children of Burmese refugees at Autumn Woods Apartments. Through the support of staff and volunteers, services provided to the refugee children enhance their adjustment within their school setting and the community. More than 60 children from kindergarten to high school are consistently impacted by this program. As a service to their parents, English-as-a-second-language (ESL) programming is also offered two days per week. Homework Help is just one of the programs Catholic Charities offers for refugees and immigrants in our community. This week’s volunteer activity allowed us to collaborate with Huntertown United Methodist Church and the Revive initiative. Revive is a local movement (eight local churches) for middle and high school students with a simple goal: to see our city transformed through the love of Jesus Christ. In a nutshell, Revive is “a mission trip in our own backyard” for area students. Over a three-day period, the students participated in a number of hands-on service activities. On this day, they helped out at Autumn Woods and I tagged along to help as well. A large group of Burmese children gathered at the door of the Homework Help office. Each and every child wanted in the door, wanted to read books, wanted to learn. Unfortunately, many were turned away simply due to space. The apartment that is used as the learning center just isn’t big enough to serve everyone. The students were paired with the youngsters from Revive and they took turns reading books to each other. Although there was a language barrier, the volunteers connected with the Burmese children while reading. 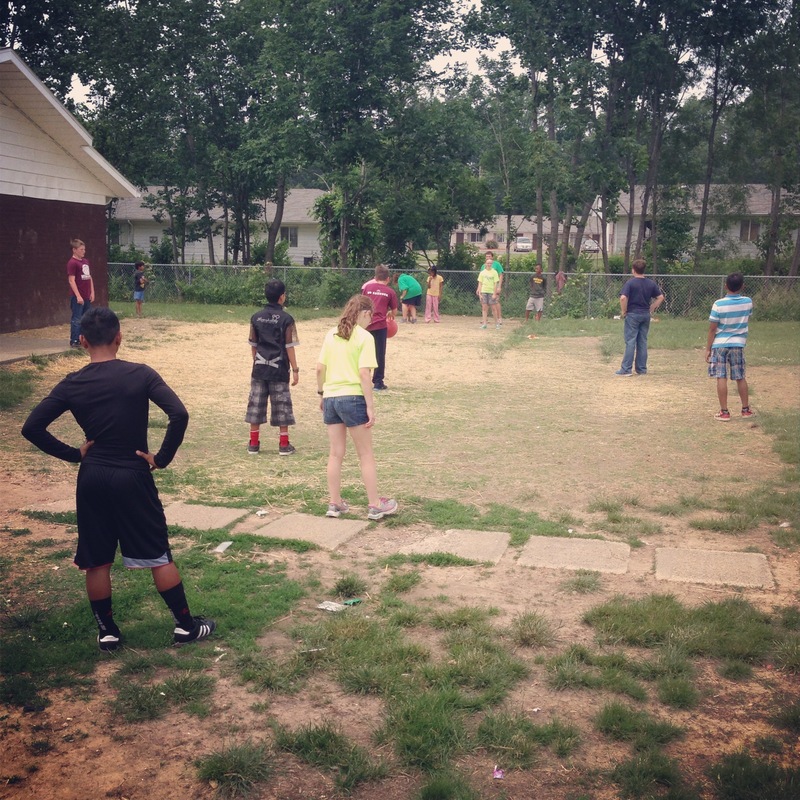 After reading, we moved outside for an old-fashion game of kickball. Have you heard the famous saying from FIELD OF DREAMS “Build it and they will come”? Well, in our case, start a game and the kids will come. We started with just the students from Homework Help and the Revive group. After a few minutes, the game had grown. Children from all over the apartment complex came to play. It was awesome to see the smiling faces, teamwork, and encouragement. One moment these children are struggling with the rules of the game, the next they are running the bases like Rickey Henderson. One moment all of the kids are standing in silence as the game begins, the next they are high-fiving their teammates and offering words of support. The game ended with a lot of runs scored and the beautiful smiles of children, American and Burmese. As I drove home, I thought about the power of a game of kickball and the act of reading. In each case, the cultural differences and language barriers seemed to disappear. The children simply became children eager to learn, to participate, and to win. Refugees are coming to Fort Wayne because they cannot go home. The United States is offering these people an opportunity to rebuild their lives and to become permanent residents of this country. In order for that to happen, we must accept them into our communities. We must teach them about our culture and how to live in our country. 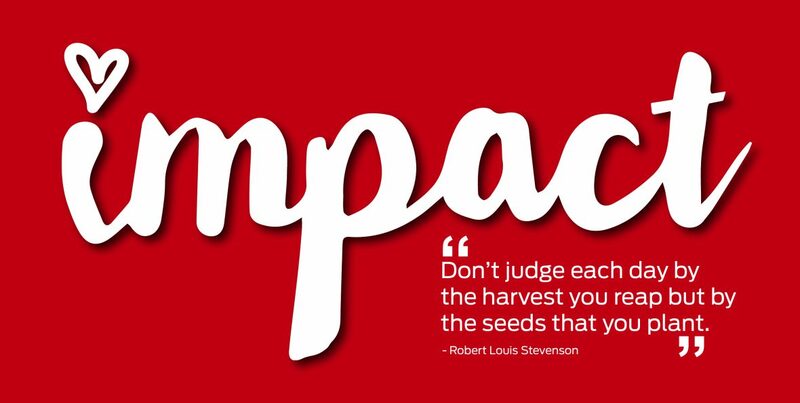 Oh, and we must not forget to make time to play kickball and read books to children in an effort to break down existing barriers.